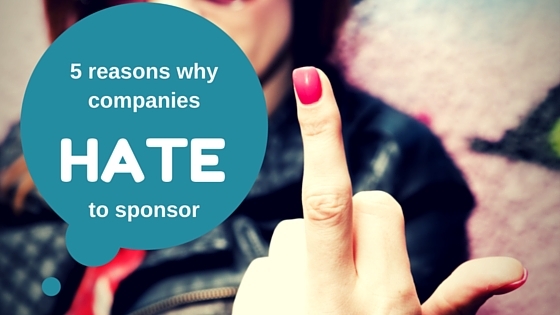 5 reasons why companies hate to sponsor ! / 5 reasons why companies hate to sponsor ! It’s the typical love-hate relationship that companies have with sponsorships: many of them simply hate to sponsor. But now open your eyes: globally in 2015 not less than $57BB will be spent on sponsorships. That’s a huge amount and still it’s surprising that this incredibly efficient marketing channel is not mentioned everywhere where people are speaking about marketing, even though: “Sponsorship is the fastest growing form of marketing in the U.S.”. And it’s a fantastic lead and traction generation machine. Why is this beauty of being a sponsor so hidden and yet so visible, so embraced and disgraced at the same time by brands? Nope it’s not. It’s not trendy like ads on the social networks or the omnipresent inbound marketing. Being a sponsor doesn’t have this sweaty rockstar smell that marketers could diffuse when talking about their strategy. Who wants to say: “Hey I’m a sponsor and it feels great”. It’s way cooler to say: “Sure we are doing inbound marketing”. 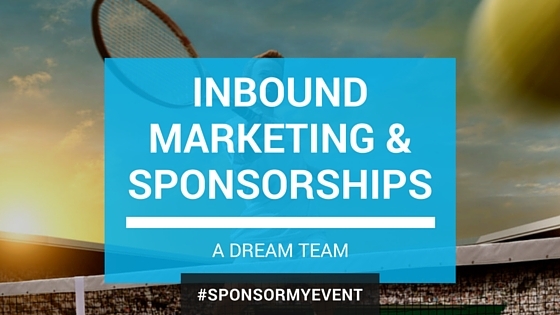 But isn’t sponsorship also part of inbound marketing if done correctly? True. 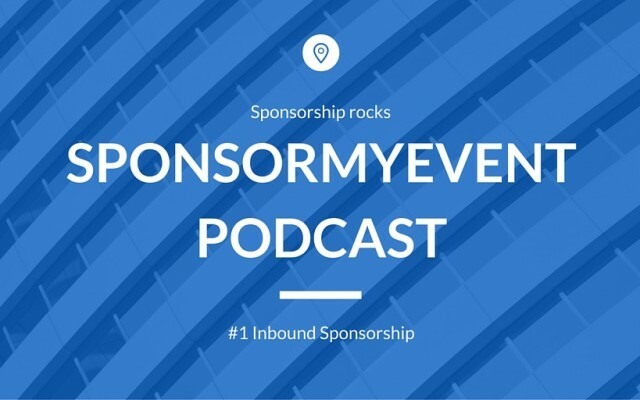 Far to often a company becomes a sponsor because it’s about doing a favour to a good client. What brand would say “no” if a good client comes and asks for some money for an event or some other sponsorship opportunity. It’s hard to reject this client, but for heavens sake don’t speak to loud about it, otherwise others may come as well with their events and causes. Do you find yourself in that? Is that you? Sure, brands have done it since a long time, recurring, budgeted. So why give long thoughts about it. Let’s use the budget and let’s get rid of it as fast as possible. Anyway it’s not a passion, it’s just something that the company got used to do. But please ladies and gentlemen: where’s the passion for this marketing channel? Where is your passion for generating a great ROI and not just spending a budget? Be a passionate sponsor. Maybe your CEO might love his preferred football club, maybe his relative is organizing an event. Maybe that’s the reason why all the sudden your company is becoming a sponsor. So how can you put your energy and time behind that and proudly shout out loud that you are sponsoring? 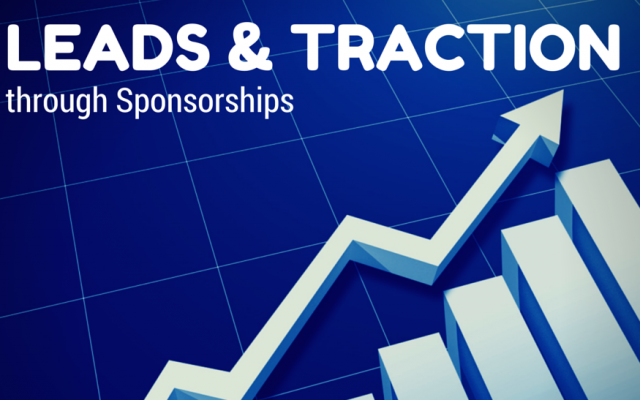 Sponsorship has to be targeted, researched and prepared. Not to pamper the CEO’s ego. Of course over 70% of the companies are a sponsor. Everybody does it, just like some other activities. But is that the reason to treat this amazing marketing channel just as a Cinderella? Instead of letting her shine, she’s so often treated like the unwanted and hidden step-daugther. And by the way: because everybody does it (half-hearted), this is a brilliant opportunity to really stand out of the mass. Now comes the good news: indeed sponsorship done in the old-fashioned way has almost reached its pre-emption date. The wind of change has come to sponsorships and the last generation sponsorship is very different from what still many companies consider to be the annoying Cinderella of marketing (and make so many mistakes when it comes to doing it). Kim Skildum-Reid has written a remarkable white paper about the last generation sponsorship that I highly recommend to read. What are your experiences as a sponsor? Do you love or do you hate it?